SellingRestaurants has a Great Opportunity to own a turnkey operation that was built out approx. 4 years ago and is showing a healthy profit. Menu....This Great looking Restaurant serves breakfast, lunch and dinner with great salads, sandwiches and Unique specialty Items. The menu items are focused towards healthy and vegan with some classics to please anyone. There is an Excellent Outdoor Patio (seats 30 or so) that faces major street which is licensed/fenced for serving Beer and Wine outside as well. Kitchen....Plenty of space and everything is in Good shape! You have lots of refrigeration, prep space and all the major appliances to cook what you want. All the equipment you need to produce the menu of your choice. 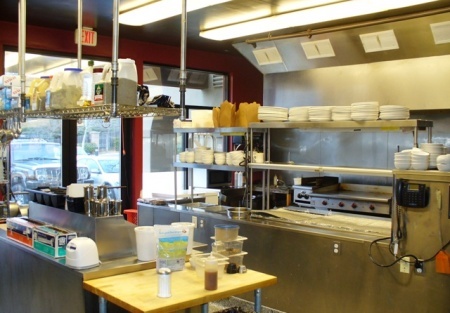 You will have 2 gas griddles, char broiler,Range, Fryer, 3 reach in coolers, prep tables, hot tables and much more. This is a kitchen any Chef would love to have! Lease.... currently rent paid is $3,555 which includes triple nets for 2,500 sqf. restaurant and 400sqf. Patio. Reason for selling.... The current owner has 4 other successful restaurants is concentrating efforts with his existing businesses. NEXT STEP. Select any of the Red button to the left "Get name and address or Agent." Register if you're a new client and click the online "Confidential Agreement." Then contact the Agent directly via email. This will also place you on our exclusive member's only e-mail list, giving you first look at our new listings.